These strong bags are popular for packing purchases in retail applications. Side walls of bags are gusseted to make packing multiple or bulky items easier. Bags feature a thumb notch to make them easy to open. 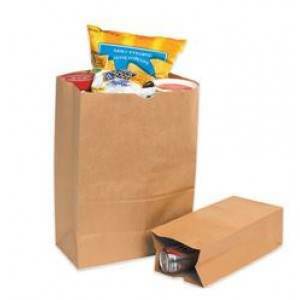 Sturdy paper bags are reusable and recyclable. Available in case quantities.